What stories do Adinkra cloths tell? Providing a context to an activity can help to give it significantly more meaning for children. In tandem with the Adinkra and Adinkra Stamps activities, read this story to children and learn a little more about the significance of these beautiful Adinkra symbols. Ask your students if they know where Ghana is. Can they find it on a map? Tell them that in Ghana, just like in every country, there are traditional clothes that people wear. In the United States, for instance, men often wear suits and tuxedos to special occasions, and women often wear dresses. 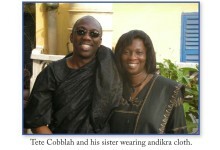 In Ghana, men and women sometimes wear traditional adinkra cloth for important occasions. This cloth has special symbols on it that relates to the people wearing the cloth or to the occasion they are wearing it to. 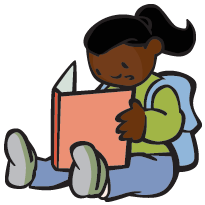 Tell your students that you will read them a story about a child in Ghana and the adinkra cloth worn by his grandfather. As brothers often do, even close ones like us, we fought over toys, clothes, shoes and more. My parents tolerated this, but occasionally interfered with the usual admonitions. Of course these didn’t work for long. Every Sunday, our grandfather (who started a Presbyterian church close to our house even though he lived two miles away) would stop by after church for his lunch. My mother would set a table just for him and we would gather around him, watching and waiting for the inevitable offer of meat or a bite, even though we had had our lunches already. We always seemed hungry. The real treat for us though, would come after grandpa’s lunch. He’d ask me to fetch his brown leather bag. He’d pull out four green lengths of sugar cane and we’d pretend to be surprised. Even though Grandpa assured us that the canes were the same length, my brother would usually eye mine and proceed to cry. Grandpa would then ask me to be the older brother and give my sugar cane to my crying brother. “He is just being a baby. Even I know they are the same length, and I didn’t go to school,” he’d whisper to me. This exercise each week would get on my nerves and result in some kind of revenge eventually. Our fights would attract grandpa’s attention, so he would sit us down to talk. One day, Grandpa arrived in his Adinkra cloth. There had been an important fundraising harvest at church and my dad had been asked to be the chairperson. Grandpa was proud and full of smiles as he told us about my father’s speech and generous donation. Then he showed us the traditional symbols printed on his Adinkra cloth. He said, “I am happiest when we are one great happy family.” He pointed to the symbol with two funny crocodiles. “This symbolizes a wise proverb which says, ‘Funtunfunafu denkyem funafu won afuru bom nso worididi a na wo ko.’ Or ‘Two crocodiles that share the same stomach shouldn’t fight over food.’ The food nourishes the same body regardless of who eats the meal.””They are lying across each other,” I said. My brother chuckled. “I think they are making babies,” he blurted. “No” said grandpa. He looked serious and thoughtful. “They share a common stomach.” Again my brother laughed and I joined in. “How can they walk?” I asked. “Who knows,” Grandpa said. He smiled. “But what I would like you to notice is that they share one stomach just like us. Afuntun mmireku Denkyem Mmireku—a symbol of unity. We are one family. When your father gets money from his hard work doesn’t he buy you new clothes and food?” We both nodded. “When your mother cooks, doesn’t she give you some to eat?” Again we nodded. Grandpa then told us about family and how important it is that we look after each other because one person’s gain is for all of us. We should be supportive of each other because one family member’s gain belongs to all of us. “Why should we fight then?” He asked. “If your brother is happy because you offered him a little more of your sugar cane, shouldn’t we all be happy? Another time, he may offer you a bit more of his.” He turned to my brother “wouldn’t you?” To my surprise my brother nodded yes. For a long time, we didn’t fight, at least not in front of grandpa but the image of those two lizards, so interconnected and interdependent has stayed with me forever. After your students have heard or read the story, have a quick discussion with them. Do they have brothers and sisters that they are asked to share with? How does it make them feel? Does anyone in their family ever dress up for special occasions? What do they wear? 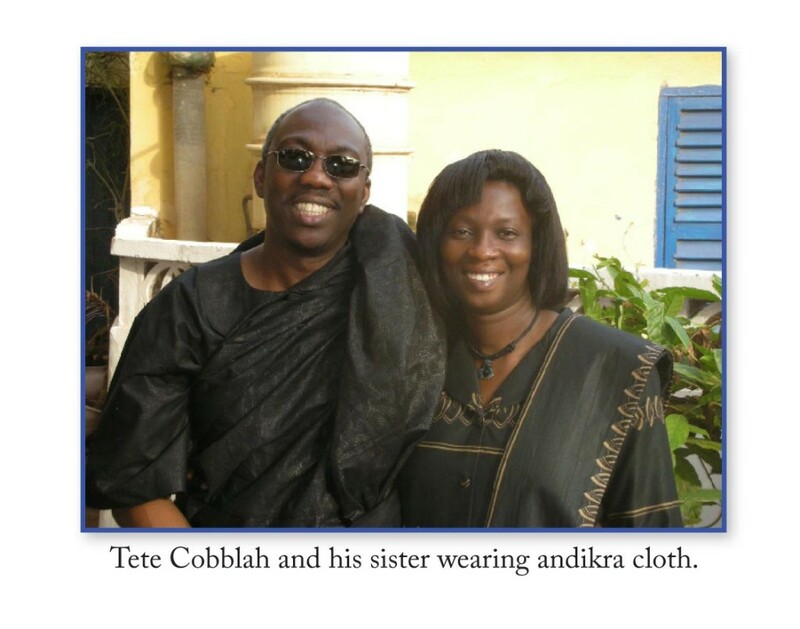 Show them the photograph of Tete and his sister in Adinkra cloth (figure 1). Try the Adinkra and Adinkra Stamps activities with your students as a follow up to this story. Ansen, Joyce. The Captive. New York: Scholastic, 1994. Milway, Katie Smith, Fernandes, Eugenie (illus.). One Hen : How One Small Loan Made a Big Difference. Toronto, ON: Kids Can Press, 2008. Medearis, Angela. Seven Spools of Thread : A Kwanzaa Story. Morton Grove, Illinois: Albert Whitman, 2000. For more, visit Africa Access Review.